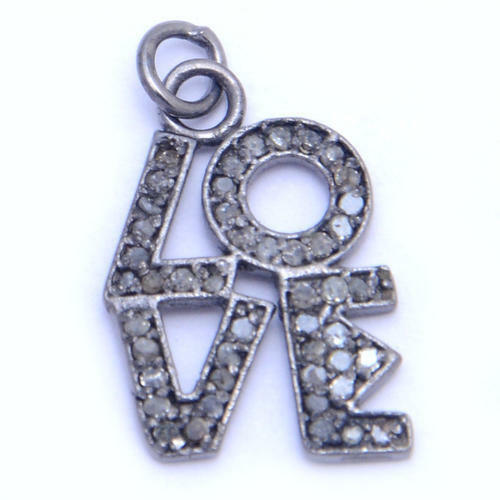 The pave diamonds pendant can be done in all needed design and shape, sizes. We "Pyramid & Precious International", established in 2009 manufacturing, supplying, wholesaling and exporting wide range of Stone Products in the market. Our range is widely popular in the market for its mesmeric beauty, pure content, exclusive designs and variety. Facilitated by sophisticated technology and advanced machinery, our team of skilled experts is able to bring forth an innovate range of new gemstones, latest jewellry designs & handicraft items. We are exporting our products in USA, France, Canada, Europe, Thailand. This team comprises experienced and creative designers, who stay in tune with the latest market trends and thus we are able to create fashionable and elegant designs. Our collection of semi-precious, fancy cut stone, beads and silver jewellery is procured from authentic vendors of the market. Quality auditors have been appointed to conduct stringent tests on the procured and manufactured range so as to ascertain the quality and purity. We make sure that all the consignments are competed timely and the range is delivered at client’s end in a safe & secure manner. We deal in brand Nan Planet Silver.